How to Selectively Backup iPhone Music Without iTunes? The 18 year-old iTunes could be an Apple revolutionary tool back then to integrate a media player "Tuner" with iOS file management and purchase utilities as a whole. But for the year 2019, testified emblematic of a bloated junk - slow, bug-loaded with abrupt syncing logic to deliver the pipe dream of best one-stop media service, iTunes is deeply burried in univeral hatred. And this is especially true for iPhone music backup and export. iTunes only offers two exact iPhone music file transfer utilities - iTunes library to iPhone one-way syncing and iPhone to iTunes full backup. Your wish for a selective iPhone music backup/export to computer for the purpose of local music collection is made unreachable by iTunes, as you know you will end up compromised to a full iPhone backup with everything related and unrelated packed up in an unreadable file folder in a mixture. And there's no way to track down a specific music file storing location in the full iPhone backup folder. NO. 1 Solution to Move Music from iPhone to PC without iTunes! DearMob iPhone Manager can selectively back up songs from iPhone to Windows/Mac, even songs with DRM protection! You can create ringtone, text tone, alarm sound for iPhone & archive playlist for iOS 12. Click to get it below free now! Obviously, we use the ambiguous iPhone music not Apple Music to emphasize all the audio video songs on iPhone. No matter in built-in Music app, third-party music apps like Spotify and Pandora, or in your customized ringtones settings, voice memo, audiobooks, podcasts, DearMob iPhone Manager sets out to help you back up them all. Step 5: Visit the "Music" tab on DearMob iPhone Manager. There you shall see purchased songs shown in a list tagged with "DRM". Step 6: Choose songs you want to remove DRM from and click on "Export" which will take you to a dialogue box saying "This song is protected by iTunes DRM", click on "Remove" and "Sync" to apply all the changes. 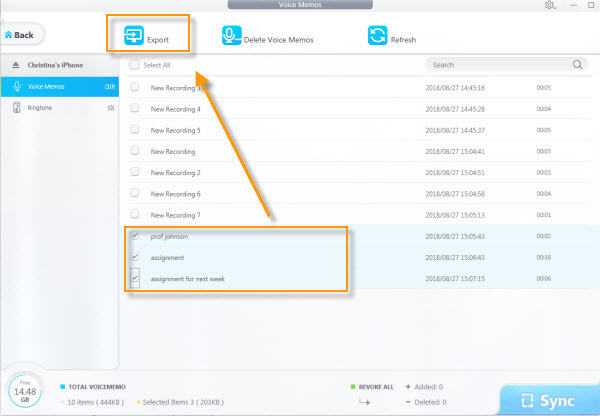 Step 1: Click on "Voice" button on DearMob iPhone Manager. Step 2: Click to select several items that you want to export for backup. 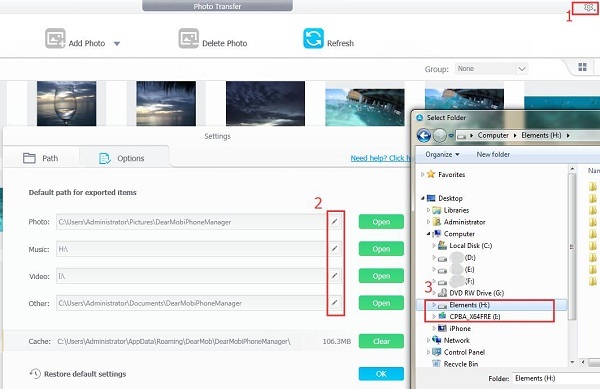 Step 3: Click "Export" to save them locally on your PC/Mac. Podcast and Audiobooks are accessable from seperated paths in DearMob - Podcast and Book. Podcast and Audiobooks are accessable from seperated paths in DearMob - Podcast and Book. Podcast and Audiobooks are accessable from seperated paths in DearMob - Podcast and Book. Step 1: Click on those buttons to get to the contents. Step 2: Select and click several items or select them all and click on "Export" for backup. 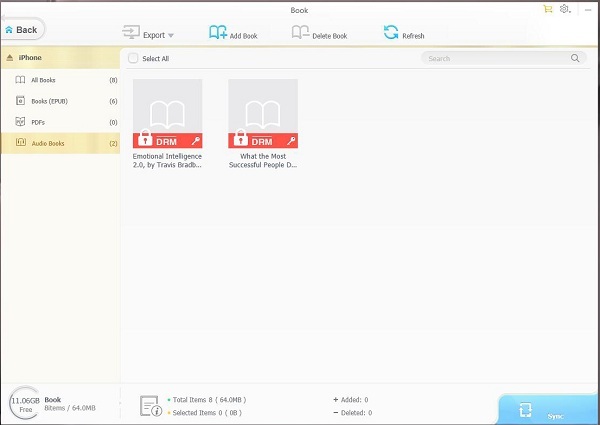 Note that audiobooks with DRM protection will shown in the panel, and you can confidently click on it to remove the lock. 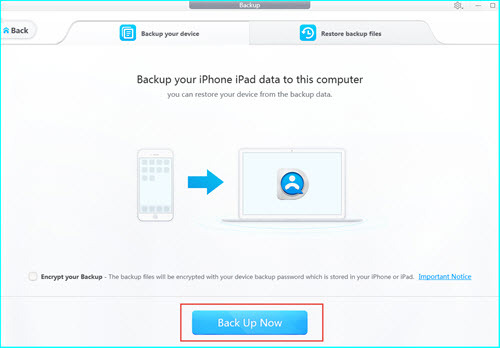 To selectively back up iPhone music to external Hard Drive/iCloud/DAS/NAS using DearMob iPhone Manager, all you need to do is change the default backup location before you select iPhone songs for export and backup. Step 5: Click "OK" to apply changes. Since third party music apps refuse to share music files which are locked in a different way other than Apple, only a full iPhone backup can gather them all. 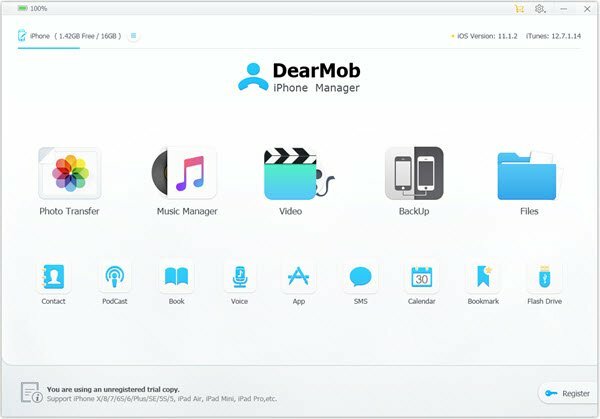 Since DearMob iPhone Manager share the same backup location with iTunes, ditching iTunes for this new iPhone management tool won't harm your previous backed up contents. Step 2: Click "Back UP Now", and you will be all set.